Welcome to Dales Solicitors LLP and thanks for visiting our website! We are a Scottish law firm based in Galston, Ayrshire, and we take pride in covering the length and breadth of the country to serve our clients. We provide tailored legal services to suit most individuals’ needs. 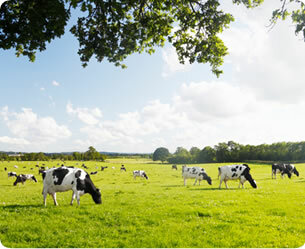 At Dales, we particularly like the countryside and those who live in it! 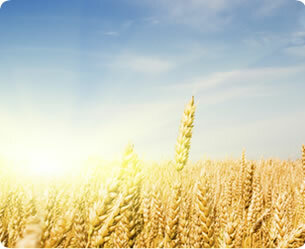 Our main niche is agricultural law and dealing with rural properties and farming families. We want to provide services for our clients of all ages and stages in life. So whether you are looking to purchase your first flat or buy your fifth farm, we like to think that at Dales you will find a team of people who are as enthusiastic about your business as you are. Our aim is pretty simple. In all that we do, we try to offer our clients ‘Down to Earth Advice’. We want to make using a solicitor a pleasant experience, not a chore. At Dales we want to make deals happen. We hold a unique database of land and farms for sale and of those looking to purchase. Backed up with detailed knowledge of historic land sale prices, we are well placed to be the catalyst to make things happen for you. We contacted Dales LLP regarding the sale of our property on the advice of our Estate Agent, as we were looking for a firm with experience of rural residential properties. Alastair Dale dealt with the sale and we were delighted with the service provided. As expected, the transaction was not entirely straightforward and various complications arose during the process, mainly due to the age and type of the property and the length of time since it had last been on the market. However with Alastair’s knowledge and advice we were able to deal with these issues as they arose, and he kept us informed of progress at all stages until a satisfactory conclusion was reached. We would certainly recommend Dales to anyone in a similar situation. 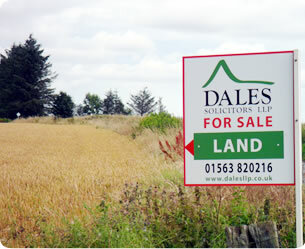 Both as a tenant farmer and an owner occupier we have used the services of Dales on a number of occasions. We have never doubted the advice and quality of service we have received which has always been excellent. Dales are a family business which ensures a good friendly relationship with myself and my family and sets it apart from others. Auldhouseburn Farm, , Muirkirk, Ayrshire.